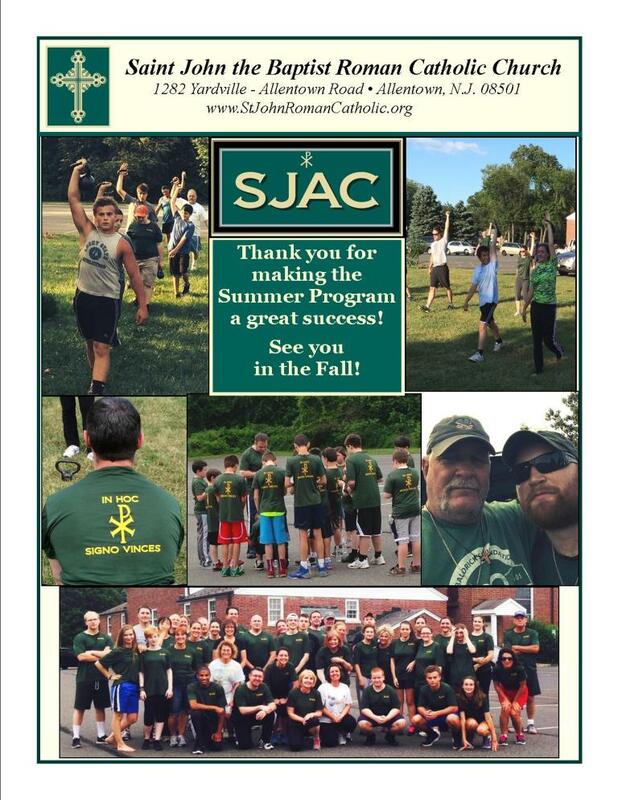 The SJAC is "On the Air"! 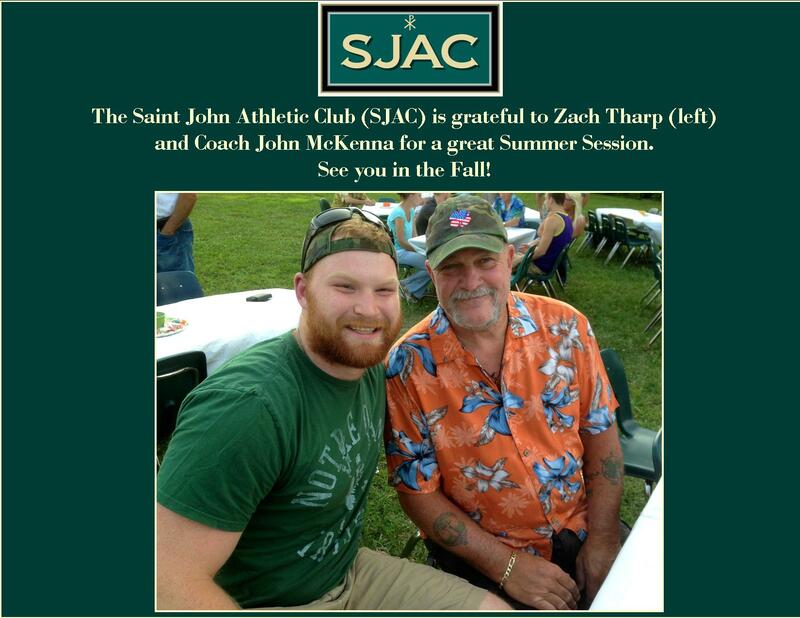 On July 9, SJAC Coach John McKenna and the Hennessey Family joined Fr. Brian Woodrow and Dorothy Conway to speak about the importance of "Mind, Body and Spirit" on the Catholic Matters radio show, broadcasted on our local EWTN affiliate, NJ Catholic Radio WFJS 1260AM/89.3FM. To listen to a podcast of this show, please click HERE . 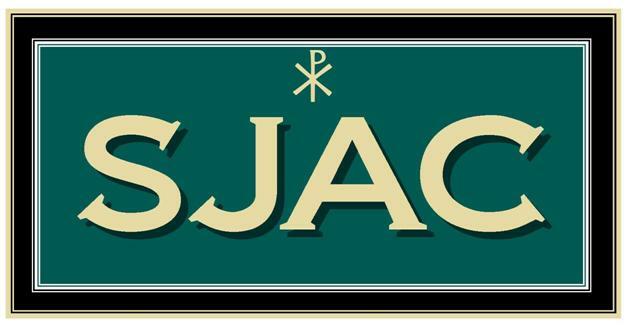 The Saint John Athletic Club is happy to announce that new SJAC apparel products are now available on our own online store! The store will be open from July 1 - July 21. To go to our new store, please click HERE. All orders placed from July 1 - July 21 will be delivered to the Parish Office during the week of August 4 for distribution. Those ordering merchandise will be contacted once the items are received. Thank you and we look forward to opening the store with newly added merchandise this Fall! Classes will be directed by Coach John McKenna. Coach McKenna is in his 16th season as the Athletic Performance Director and Assistant Football Coach at Notre Dame High School, and has been a strength coach and football coach for over 32 years. Coach McKenna was the first strength coach inducted into the New Jersey Coaches Hall of Fame and just recently was honored by the National Football Foundation for his Contribution to Amateur Athletics. A member of St. John the Baptist Parish and Knights of Columbus, he has developed a foundation program for younger athletes that teaches the basics and also enhances their athletic ability. This program has been copied and highlighted throughout the country. Coach McKenna is also the moderator for Notre Dame’s Catholic Athletes for Christ.